After studying art and ceramics at ‘O’ level in the late 70s Fin moved away from art into a career in the film and television industry before retraining as an Acupuncturist. She came back to clay around the year 2000 and was immediately hooked once more. 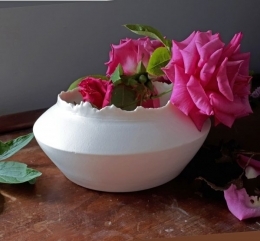 Her ceramic training has been mainly through adult education in South East London and her own experimentation. 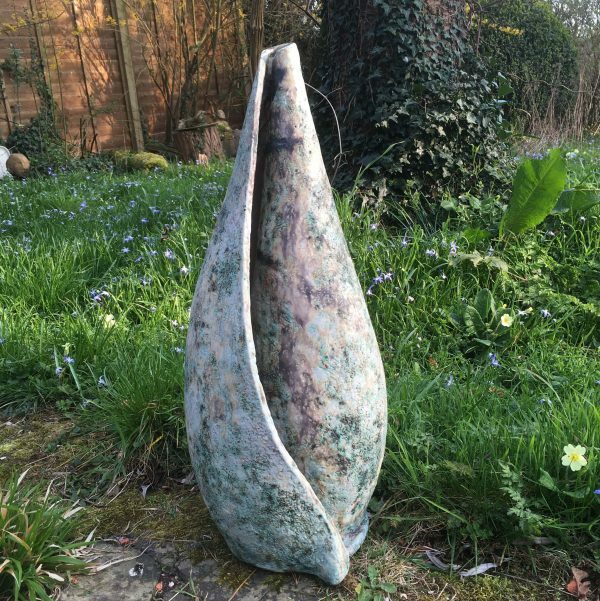 Fin’s ceramics reflect her interest in natural forms, shapes and textures. 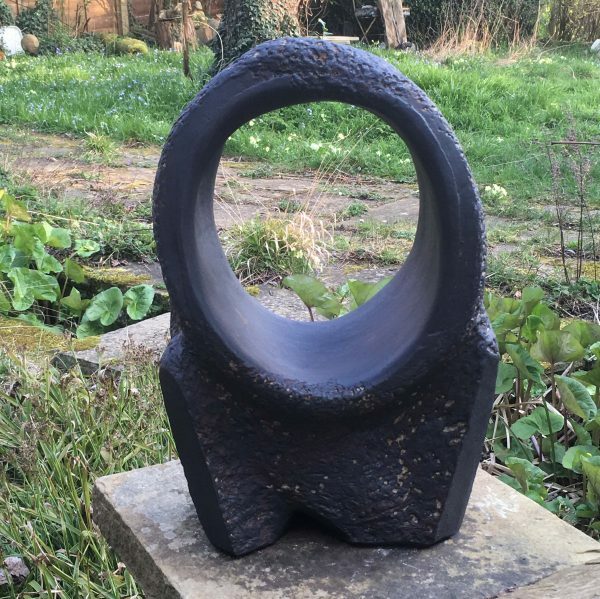 She is an avid photographer of textures and forms within the landscape both urban and countryside she is also a collector of rocks, pebbles and fossils, which all influence her pieces. 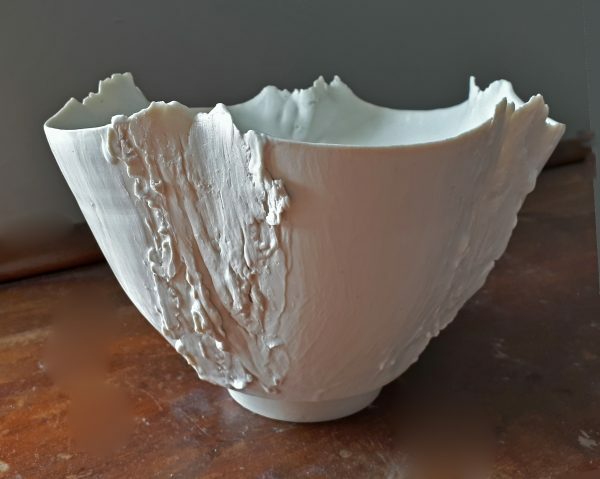 She explores different ways to create forms that look as though they have grown within their environment, part of the place they inhabit, ancient and weathered. 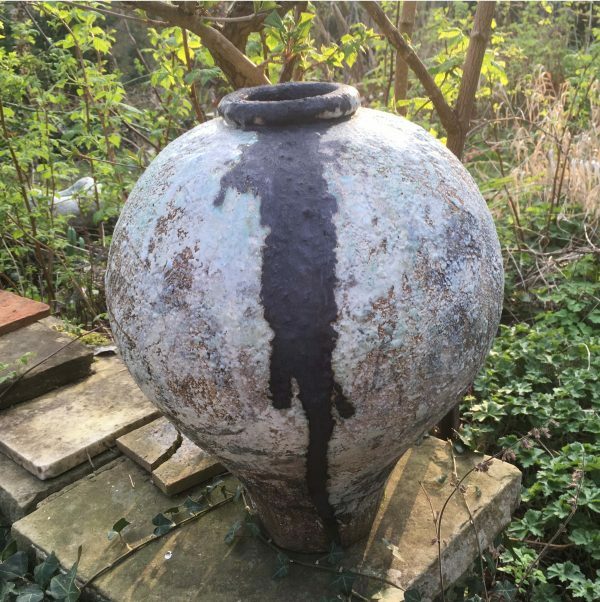 Fin often colours her clay with oxides as well as using slips and glazes applied over a number of firings to create depth and texture, rhythm and movement within the glazing. 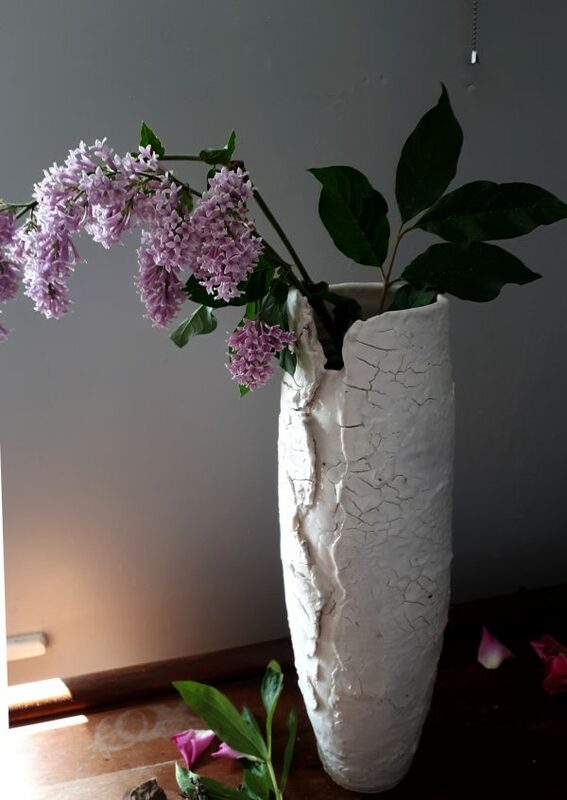 The visual and tactile quality of the work is essential to her; colours and textures that speak of pebbles on a beach, rocks on a river bed, ancient stones, old places. Hand built and unique, the garden work is all high fired, stoneware and frost proof.